Texas A&M University (TAMU) is the founding member of the Texas A&M University System. Opened in 1876, TAMU is now the second largest public university in the United States by enrollment. 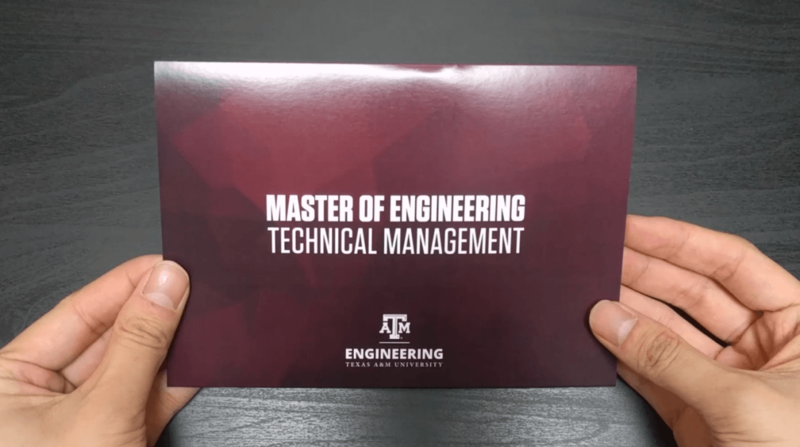 Using bigDAWGS’ Musical Greeting Cards, the College of Engineering from TAMU invites professionals to be part of their METM program. Master of Engineering Technical Management (METM) is a part-time, 21-month online course with 2 weeks of final presentation on campus. Visit engineering.tamu.edu for more info!